Medical billing and coding involves the proper labeling of medical services received by patients for insurance purposes, as well as managing billings sent directly to patients. Part of the larger medical field, medical billing and coding specialists provide a valuable service to other medical professions with their in-depth knowledge of the processes involved. As with the majority of the health care field, the demand for medical billers and coders is expected to grow at an above average pace between 2014 and 2024. In the state of North Carolina, with an employment level of 5,470 in 2015, may see the addition of 820 new positions during that time. Additionally, the highest paid 10 percent of employees in the field may see wages of $61,400 or more. While the state of North Carolina does not require a person to be certified as a medical billing and coding specialist, many employers will show significant preference to those that are, if it is not considered a requirement by the specific facility. In order to become certified as a medical billing and coding specialist, post-secondary education is often required. Programs designed to help you enter the medical billing and coding career field are traditionally offered through community colleges or certain technical schools. Since the majority of the work is computer-based, some educational institutions may offer entirely online certificate, diploma, or degree programs. The length of time required to complete a program may vary depending on the exact structure of the program and the pace at which a student completes the necessary course work. Some programs take as few as four months to complete, based on full time attendance, while others may take one or two years. For certificate and diploma programs, the course work will focus on the specific skills and knowledge base that is required to perform the duties of a medical billing and coding specialist in the shortest time possible. Classes will cover introductory information regarding basic medical office functions, such as fundamental office procedures and electronic medical record systems, as well as foundational information in regards to medical terminology, human anatomy and physiology, and pathology and pharmacology. Career specific course work will cover basic coding based on the use of the ICD-10, medical billing and health insurance procedures, as well as studies of more intermediate and advanced coding requirements and scenarios. Classes will cover other topics relevant to the overall medical field, such as applicable laws and regulations, professional ethics, and issues of confidentiality. At the completion of most accredited certificate or diploma programs, students will be deemed ready to participate in a variety of certification examinations in order to secure one’s professional credentials. Additionally, those interested in pursuing additional education may be able to transfer any credits received while attending the program to another institute of higher learning or towards an additional certificate or diploma program. For those looking to complete a more advanced level of education, many community colleges and technical schools offer Associate’s in Applied Sciences (AAS) degree programs also designed to provide the necessary foundation to begin working in the medical billing and coding field. An AAS requires the completion of certain core educational requirements as well as a variety of industry-specific specialty courses. Core requirements will include a variety of classes designed to ensure you have significant knowledge in the areas of writing and English, mathematics, and various sciences, and can perform the associated work at a college level. Specialty courses for an AAS degree will more thoroughly cover the topics associated with medical billing and coding than some certificate and diploma programs. Specific attention will be paid to the various subsections of coding, such as diagnostics or treatments, and physician services, as well as proper coding procedures. Additionally, many degree programs involve coding practicum courses, designed to simulate real world conditions, as well as the opportunity to participate in an approved internship. Internships allow the student to get hands-on experience working within a medical facility. This not only improves one’s familiarity with the workings of an actual medical office, it also provides the chance to use the skills that have been taught during the degree program within a real world environment that is conducive to learning. As with accredited certificate or diploma programs, graduates of an approved AAS degree program will be eligible for various industry certification examinations to work in conjunction with one’s degree. The American Academy of Professional Coders (AAPC) offers several certifications in both the areas of medical coding and medical billing. In order to take any certification examinations, you must be a member in good standing within the organization. Each medical coding certification covers a specific knowledge area or application of that knowledge within specific environments. The five primary certifications include the professional coder certification (CPC), certified outpatient coding (COC), certified inpatient coding (CIC), certified risk adjustment coder (CRC), and the certified professional coder-payer (CPC-P) certifications. Each is based on knowledge from the ICD-10, CPT, or HCPCS Level II coding standards, or a specific combination of the three aforementioned systems. Additional specialty certifications can also be obtained. This includes, but is not limited to certifications in the areas of ambulatory surgical centers, cardiology, emergency department, internal medicine, pediatrics, rheumatology, and urology. Each professional coding certification has a combination of recommended education, along with certain amounts of job experience for those looking for full credentials beyond an apprenticeship level. Apprenticeship level certifications are available to those who can pass the examination, but have yet to meet the full educational or experience requirements as set forth by the AAPC. Generally, it is recommended that examination applicants hold at least and associate’s degree in the field. In the area of medical billing, the certified professional biller (CPB) certification is available. This certification asserts the person has the necessary knowledge regarding various forms of medical insurance, payer policy and coverage determinations, the various coding systems, rules and regulations regarding patient privacy and other health care concerns, medical billing claim lifecycles, as well proper follow up techniques for insurance providers and patients. While specific educational degree requirements are set for the CPB examination, it is recommended that those interested in becoming certified complete an accredited associate’s degree program before attempted the certification examination. Otherwise, a certain number of credit hours may substitute for the degree as well as certain work experience in the field. In order to maintain certification, you will need to meet the continuing education requirements. You must recertify every two years with a minimum of 36 continuing education credits received during that time. In order to qualify, all continuing education must be completed through an approved, accredited educational source. The number of credits required increases depending on the number of certifications being maintained. The requirements include 36 hours for one certification, 40 hours for two certifications, 44 hours for three certifications, 48 hours for four certifications, and 52 hours for five or more certifications. Additional requirements may be required depending on the certifications being renewed, such as 8 hours of continuing education for each specialty certification. Along with continuing education credits, membership fees are also required every two years. The American Health Information Management Association (AHIMA) offers three levels of certifications for those working in the medical coding field, all of which are accredited by the National Commission for Certifying Agencies (NCCA). The certified coding associate (CCA) certification serves as a demonstration of the level of competency of a person working within the medical coding field. The examination covers a variety of topics applicable to hospital and physician practice settings, and serves as a foundational certification for entry-level positions within medical facilities. The certified coding specialist (CCS) certification asserts that the person has advanced skills in the area of medical coding. Knowledge areas that will be covered include the ICD-10 and CPT coding systems, as well as information regarding medical terminology, disease processes, and pharmacology. Eligibility for the CCS certification examination can be met in a variety of ways. This includes through meeting certain educational requirements, through work experience in the field, or a combination of the two. Additionally, those who hold certain other coding credentials from recognized organizations may also qualify. 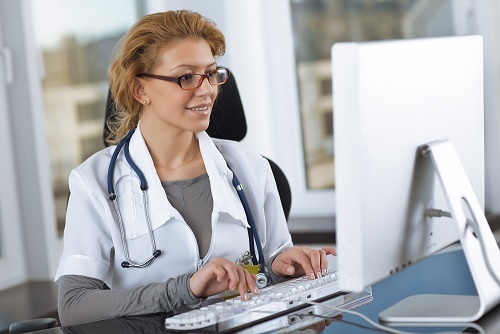 Finally, the certified coding specialist-physician-based (CCS-P) certification examination focuses on the advanced coding skills most commonly used in a physician setting outside of larger hospital systems. This can include private practices and various specialty clinics. Additional focus is placed on the CPT coding system as well as the ICD-10 and HCPCS Level II coding systems. Eligibility requirements for the CCS-P examination are the same as those required for the CCS certification. The National Healthcareer Association (NHA) offers the Billing and Coding Specialist (CBCS) certification. The certification asserts that you are able to perform the duties required of someone working in the field of medical billing and coding. This includes the proven ability to properly gather patient information, verification of patient documentation, perform bill auditing, support the coding and billing process, assign codes properly for diagnoses and procedures, properly submit claims for reimbursement, and assist providers in achieving the optimal reimbursement for the services that are provided. In order to qualify, you must have completed an approved training or degree program in the area of medical billing and coding or have at least one year of work experience in the field, along with a high school diploma or its equivalent. Additionally, fees are required in order to take the examination. Recertification is required every two years. In order to maintain the qualification, you will need to complete a minimum of 10 hours of continuing education credits from an approved and accredited source. Additionally, a renewal fee is required. If you certification lapses, if it has been expired for less than a year, you are eligible for reinstatement with the completion of 15 continuing education credit hours. The renewal fee is also required, along with an additional reinstatement fee. Those whose certification has been expired for more than one year will need to retake the certification examination in order to qualify. The vast majority of persons working in the medical billing and coding field work in offices within healthcare facilities. This can include hospitals, specialty clinics, and private practices. You will be responsible for gathering the necessary data in order to properly bill patients and request reimbursements from insurance companies. Medical billers and coders regularly interact with patients, physicians and other medical service providers, as well as various insurance companies. Contact may be in person, over the phone, as well as in writing. The work can be fast- or moderately-paced depending on the volume of patients and the nature of the facility. Additionally, some businesses separate medical billing and medical coding responsibilities between multiple persons or teams, allowing some employees to specialize in one area of the other. Dress code with vary depending on the standards in place at the facility in which you work. Considered by the Bureau of Labor Statistics as part of the larger medical records and health information technician field, the pay rate will vary depending of the facility. In 2015, the median pay for people working in the larger medical records and health information technician field received and annual salary of $37,110. Most medical billing and coding specialist work full time schedules, though the shift requirements may vary depending on the facility. Certain hospitals that support 24/7 operations have medical billers and coders available at all times, while smaller clinics may only have day shift responsibilities. Additionally, some people working in the field may have the opportunity to work from home, which may offer a level of scheduling flexibility. Employees working full time are generally offered the opportunity to participate in a larger compensation package. This can include benefits such as medical, dental, vision, and prescription coverage, as well as retirement benefits. Some facilities will also provide discounted access to services performed within the facility in which you are employed.